With drones constantly improving and their wide range of uses across different industries, it was only a matter of time until the need for waterproof drones became apparent. Thats why we’re going to go over the 5 best waterproof drones that you can currently buy. We’ve put together a list of the 5 waterproof drones, ranging from cheap waterproof quad copters for beginners all the way to high-end professional level drones for you to decide from. For anyone who has a drone, you probably know that water is a detrimental element that can completely ruin a quad copter. We all live in fear that the heavens will open and rain down upon us whilst we’re flying our drones, only to see our precious copter helplessly fall from the sky never to be used again. Now before we begin, it’s important to understand the difference between waterproof and water resistant drones. Water resistant drones are designed to be able to survive in mildly wet situations, for example light rain, snow and perhaps splashes from waves. The drones themselves are not impenetrable to water and if submerged completely, will break. Waterproof drones are able to withstand being entirely underwater, with out sustaining any damaging or breaking. These drones are usually sealed completely tight and are impenetrable water, however they usually cost significantly more that their water resistant counter parts. Before we jump into our list of best waterproof drones, we thought we’d highlight some different uses and situations where waterproof quad copters would come in handy. With more and more drone and fishing enthusiast hooking up their drones with fishing lines, it only makes sense that the quad copter they’re using is waterproof. Not only is the drone able to send the line out, it can also be used to film their catch. What better way to capture your voyage than from the skies? Drones allow almost anyone to film some extremely beautiful and cinematic footage, so when you’re next out sailing and want to capture the moment, a waterproof drone is a must. Waterproof drones offer a completely new way to film surfing. You can now film closer than ever before, tracking your subject as they ride the wave makes for some seriously impressive footage. Surf competitions have already taken to this method of filming and with the rising number of waterproof drones anyone can join them. 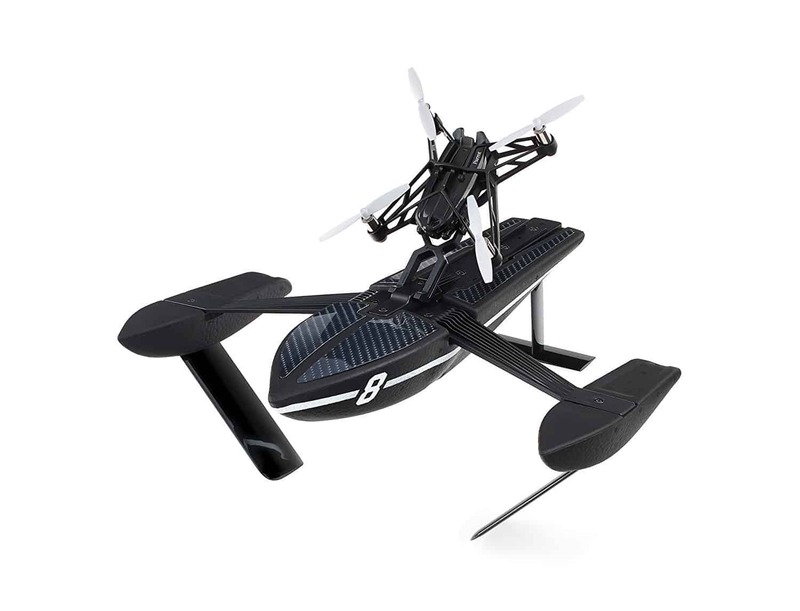 The Splash Drone 3 Auto is a fantastic drone released by the relatively unknown SwellPro. The drone is able to float along the surface of the water, allowing the user to capture footage both under and above water. The drone can be implemented in a vast array of situations, from fishing to water rescue, the SwellPro is a versatile and well built quad copter designed to perform in extremely wet environments. 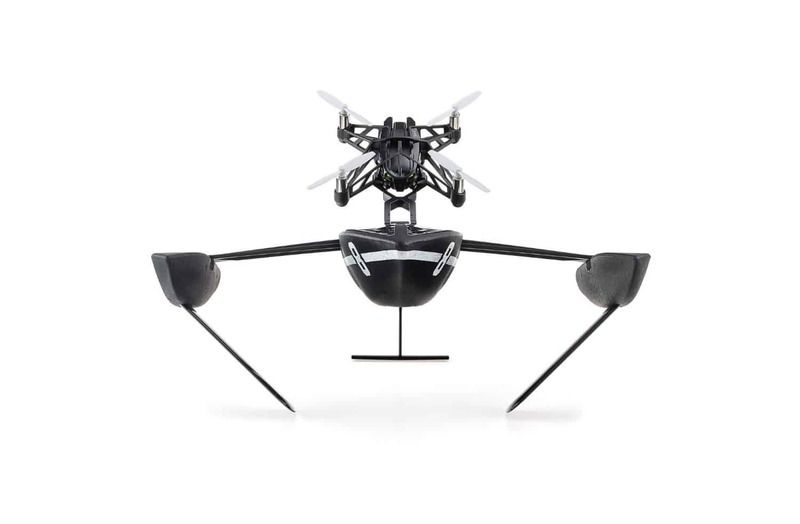 ​One feature that makes this drone unique is its payload release system. This means that the Splash Drone Auto is able to carry a load of up to 1kg and release it up to 1km away from the pilot. This allows the SwellPro to be utilised in fishing to cast the line and also in rescue situations where rescuers are unable to reach a location. One of the Splash Drone Auto’s most impressive features is its completely waterproof motorised gimbal that allows the camera to move smoothly both in the air and under water. The gimbal is also coated in order to resist corrosion from exposure to salt water. 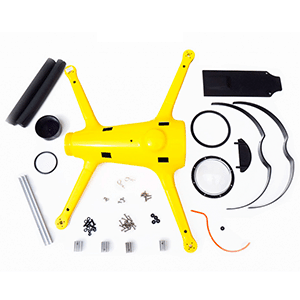 The flight time and max distance of the Splash Drone Auto cement its position amongst professional level quad copters. A very reasonable flight time of 20 minutes and a maximum range of 1km (that’s double a DJI P3 Standards) allow the pilot plenty of freedom when flying, as space and time aren’t an issue. The Splash Drone Auto 3 comes with an innovative 4k waterproof camera that is able to record footage both above and below the water. 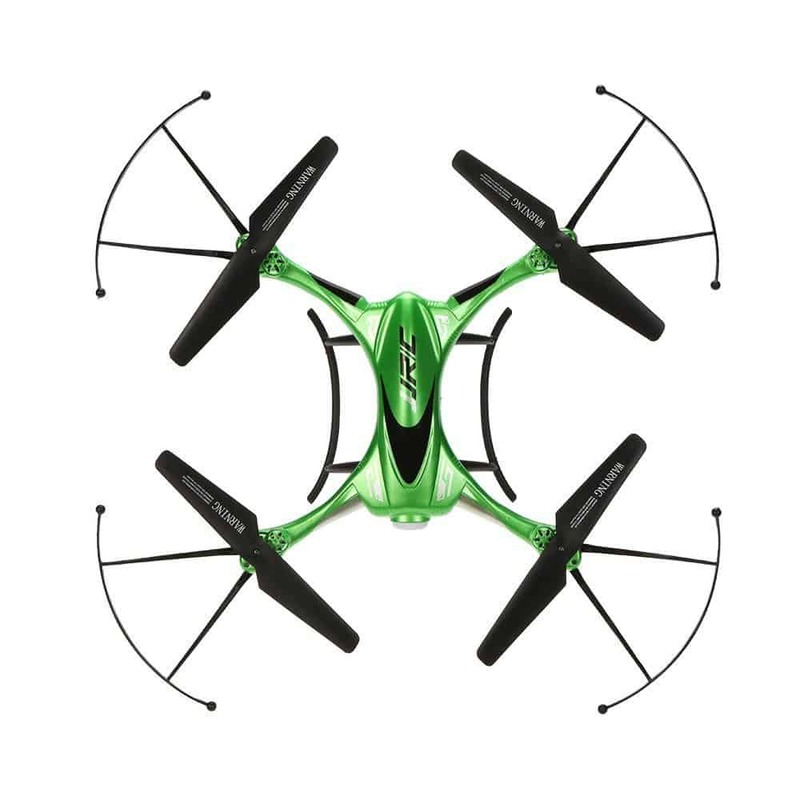 Although a professional level drone, the Swell Pros features allow it to be flown comfortably and safely by a beginner. With a number of autonomous flight modes such as follow me, waypoints and tap-to-fly, an inexperienced pilot is able to capture very filmic footage without the worry of water damage to the drone. Furthermore, one tap return to home, auto-land & take off and low battery alert functions take some of the most difficult aspects of flying a drone out of the pilots hands. These features can be used until you master them yourself, or like me are too lazy to do it. 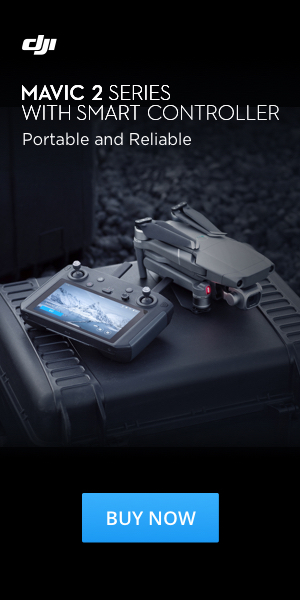 The Splash Drone 3 Auto’s also comes with a brand new controller with a built in FPV screen that displays real time footage from the drones camera. The drones’ robust and sturdy build means that it’s long lasting and always reliable come rain or shine. It comes as no surprise that professionals around the world are using this drone to cinematically film marine life. The Splash Drone Auto is undoubtedly one of the best waterproof drones on the market today. JJRC are a well-known and reliable manufacturer of quad copters, boasting an array of high quality drones. The H31 is a fantastic beginner level waterproof drone at an affordable price. Although advertised as waterproof, I would suggest not completely submerging the drone as I have heard that it can break. But, you can’t ask for too much at that price range and considering that it’s water resistant, is still great value for money. The H31 also possesses some great features that make it one of the best waterproof drones for beginners. A 7-minute flight time and a range of 70m are extremely respectable stats for this level of drone. It also has a 2MP camera with filming capabilities, however the camera isn’t the best, which is to be expected are this sort of budget. One-tap return to home function allows beginners the comfort that the drone can bring itself back to its take off position safely. To further help beginners, the headless mode allows for the pilot to overcome the loss of orientation problems that can occur. 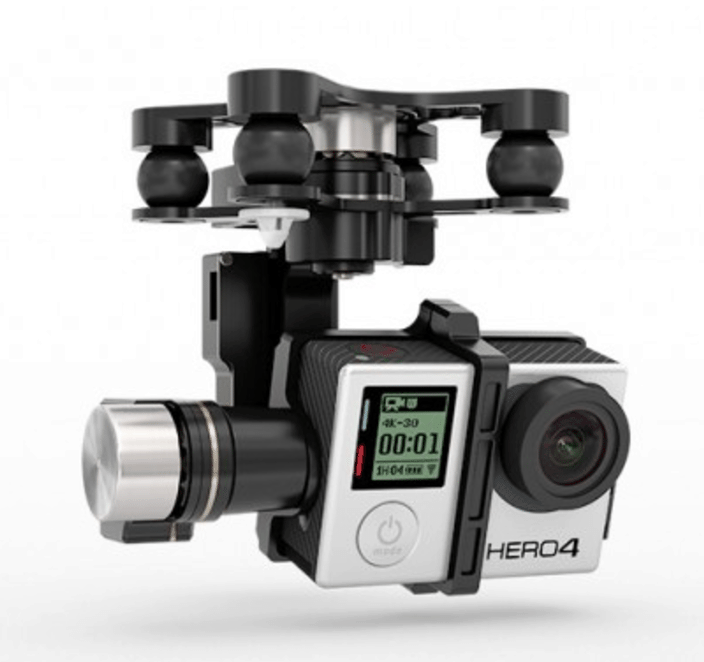 The H31’s 6-axis gyro-stabilization allows for an extremely controlled and safe flight. With 2 different colour led lights positioned on the drones’ rotor arms, night flights are possible with the H31. To top all this off, the H31 provides an extremely exhilarating flight. 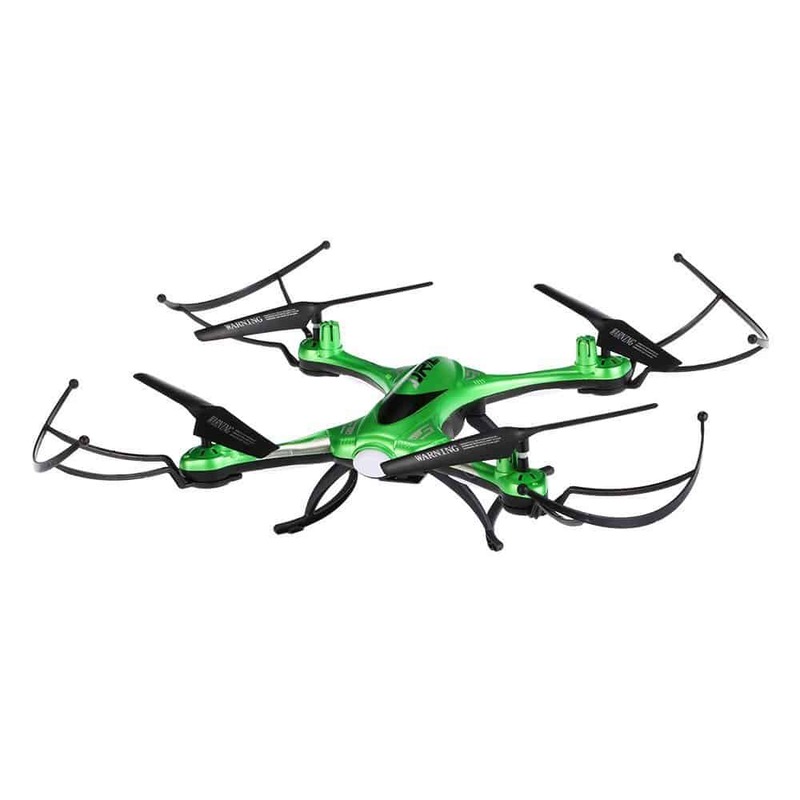 Its agile movements and one key 360 flips make this a fun waterproof drone for beginners. Overall, the JJRC H31 is a great waterproof drone designed for beginners looking for a fun flight over water. At a great price and with some respectable features and H31 has to be on our list of the 5 best waterproof drones. Next up on our list of the best waterproof drones it the Parrot Hydrofoil Mini. The Hydrofoil Mini is a toy grade boat-drone hybrid and is one of Parrots most unique releases to date. Simply put, the Hydrofoil is a miniature drone that attaches to a larger boat body, acting as its engine. The drone can also be used on its own as a regular mini quad copter. The Hydrofoil is controlled remotely with a smartphone app that runs on both IOS and Android. The controls are extremely simple and the Parrot seems to respond pretty well to instructions. The Parrot has a respectable flight time of around 7 minutes and takes just 25 minutes to charge! The batteries are also replaceable, meaning that if you buy spares, you can double your flight time. Unfortunately, due to its Bluetooth connection has a max distance of 20 meters. This isn’t the best but as a toy grade quad copter doesn’t matter too much. Flying separately from the boat, the drone is able to achieve max speeds of 18mph (10mph with boat) and is very steady to fly. Its extremely lightweight so can be blown around in strong gusts. Overall if you’re looking for a unique new RC vehicle to play with over the summer, the Parrot Hydrofoil will provide you with endless hours of water and airborne entertainment. QuadH20 have made it their mission to create a drone capable of combating water, whilst providing a controlled and fun flight. The QuadH20 is built for speed and agility, reaching roaring speeds of up to 45mph; it’s the perfect waterproof drone for sailing. With a maximum range of 1km, not only is the QuadH20 able to keep up with a boat or Jet Ski, it can film them over extremely long distances. One of the drawbacks of the QuadH20 is its less impressive flight time of around 10-12 minutes. Although not the longest amount of time, is still enough to make this one of the best waterproof drones for professionals. 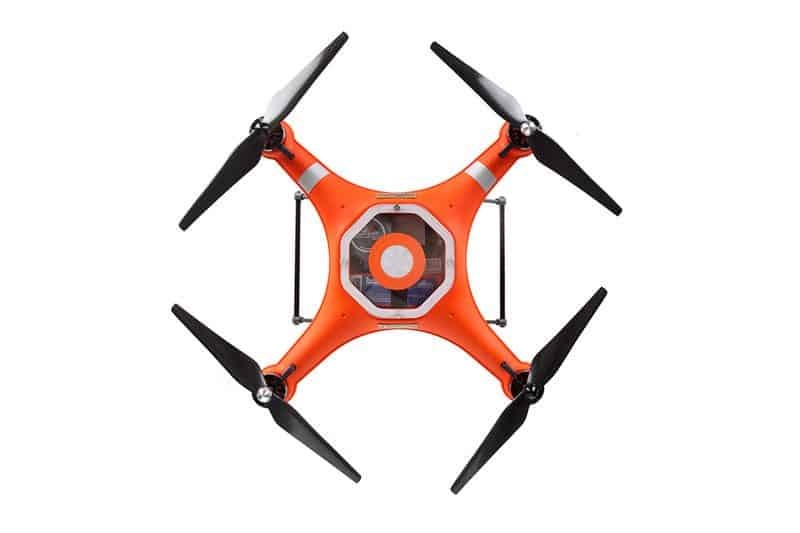 Although the QuadH20 is one of the best professional waterproof drones, it’s designed to be beginner friendly. The responsive and easy to use controls are aided by the drones’ GPS positioning, meaning that it can hover in place autonomously, without swaying too much. One of the great things about the QuadH20 is the fact that you can choose to build the drone yourself. Alternatively, you can opt in for them to build it in house to your required specifications. The QuadH20 has a built in on board camera which relays the footage back to the FPV monitor attached to the transmitter. An action camera such as a Go Pro is required to record footage directly on to its’ SD card. In my opinion, the QuadH20’s a fantastic option for anyone looking to invest in a drone capable of working in water. It’s now wonder the QuadH20 has achieved its reputation as one of the top waterproof drones for professionals. ​The Hex20 is a big step up from the QuadH20 with some serious improvements. The flight time has been dramatically increased to 25 minutes and its maximum distance boosted to 3km! That’s some serious range. This 6-rotor beast of a drone provides 100% water protection, so no matter the weather you can take to the skies (or waters). Unfortunately the Hex20 does cost a pretty penny so it’s definitely aimed more towards professionals. Similarly to The QuadH20, The Hex20 can come in either a kit that requires the use to assemble or be put together in house to your specifications. QuadH20 teamed up with DJI when creating the Hex20, so you know they mean business. Implementing the DJI Lightbridge Technology for improved range and responsiveness. The quad copter is also controlled via the DJI GO app that users have grown to love for its easy to use design. 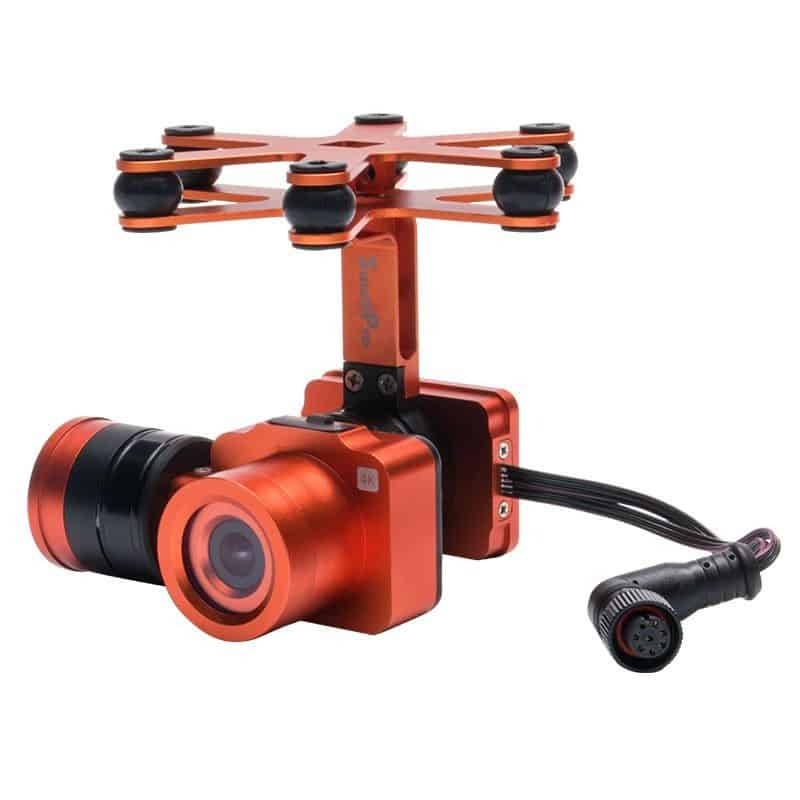 The Hex20 also features the DJI X camera and 3-axis gimbal that provides extremely smooth 4k-footage, perfect for professionals looking for a waterproof drone able to record cinematic footage. 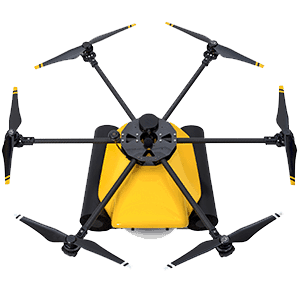 Another intriguing feature of the Hex20 is its 2KG payload capabilities that allow the drone to be implemented in extremely useful situations, such as search & rescue. 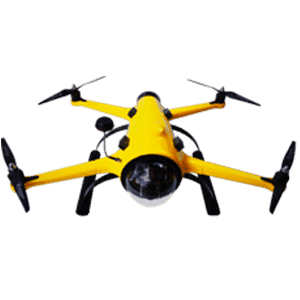 The Hex20 is an extremely well designed and highly respected waterproof drone that allows the user to record some amazing footage with their drone safe from the water. Possibly the best waterproof drone out there? What do you think? We hope you’ve enjoyed this article on the 5 best waterproof drones. If you enjoyed this, make sure you check ​our other lists of the best drones. As always, get in touch if there’s anything you’d like us to add or review. Thank you So much for posting the blog. There are many types of drones are available in the market. But top waterproof drones are listed above. These drones are of very brilliant quality from another drone. We sell the drones of SwellPro in USA and Canada. By far definitely the best! I couldn’t agree more. These waterproof drones are truly amazing.